Unable to find products suitable to provide the special needs of their own child, Bailey founders developed and built new products themselves. And, from day one, the same care that went into producing products for a family member has carried over to a wide variety of products ranging from tables and parallel bars, to stools, mirrors, training stairs, and more. 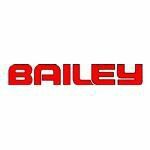 Since the beginning, the philosophy at Bailey has been to provide the highest quality products at a fair price; and, as our product line has grown so has our commitment to excellence and customer satisfaction. Stall bars are commonly used by physical therapists, chiropractors, athletic trainers and gymnasts. Stall bars are an excellent tool for developing strength, conditioning, and flexibility throughout the entire body. Professionals use stall bars in a clinical setting for mobility, rehabilitation, injury prevention, correcting posture and improving body alignment. Stall bars work the best as a supporting accessory together with other tools such as kettlebells and barbells.